An inspired choice of color is easily as important as the specific pattern when selecting wallpaper. At Adelphi Paper Hangings, each order is printed individually, allowing us to tailor the palette to the client’s needs. 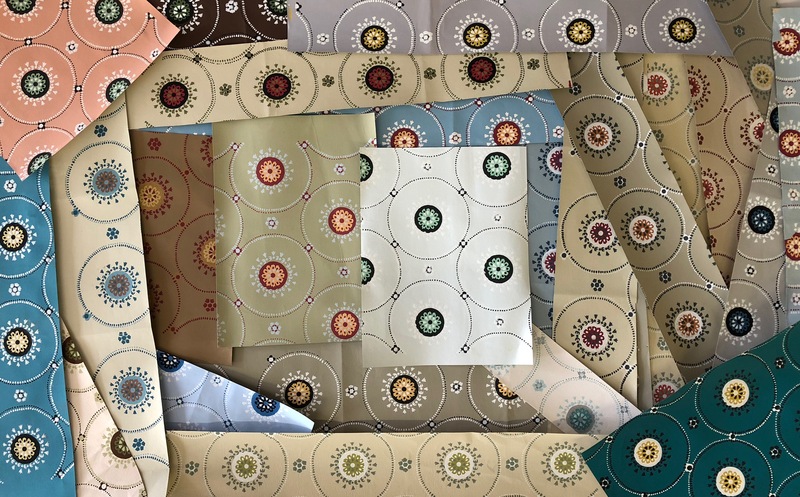 The primary image of each available pattern shown on this website depicts its document colorway and is referred to as the A colorway; for most patterns there are also images of alternative colorways. The B colorway uses color appropriate for the time period of the pattern. Colorways C and D are not necessarily historic but have been created to reflect more contemporary sensibilities. The choices, however, are not limited to these examples. Any color from any Adelphi pattern may be used in a custom color project, even though it may not appear in the Color Book. Depending on the complexity and degree of color substitutions it is advisable to order a strike off, or test print, of a custom colored pattern before placing an order. Generally, we provide a strike off with several pattern repeats. The fee for strike offs is $60. per printed color. NOTE: Strike offs are simply a test for color compatibility; the print quality may be less refined than the final product. Interested in custom coloring for your wallpaper project?